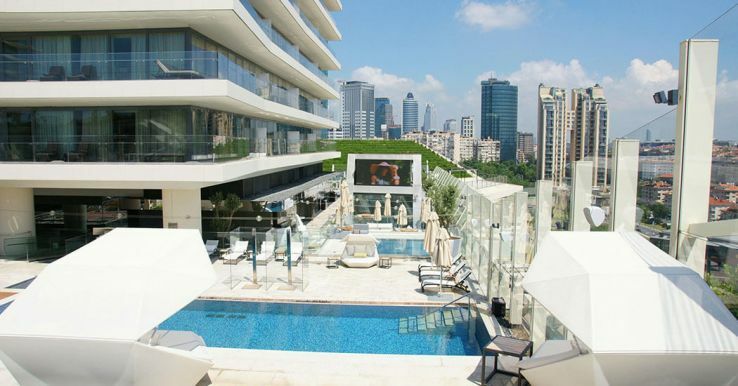 Discrete luxury, timeless elegance and unspoken grace are few synonyms to for this luxury hotel in Istanbul. Located in the heart of the city St Regis is in the close connection with Macka Park, the city center and convention center. The property is known for its signature restaurants,rooftop terrace and French brasserie. St Regis definitely tops the list of luxury hotel in Istanbul. 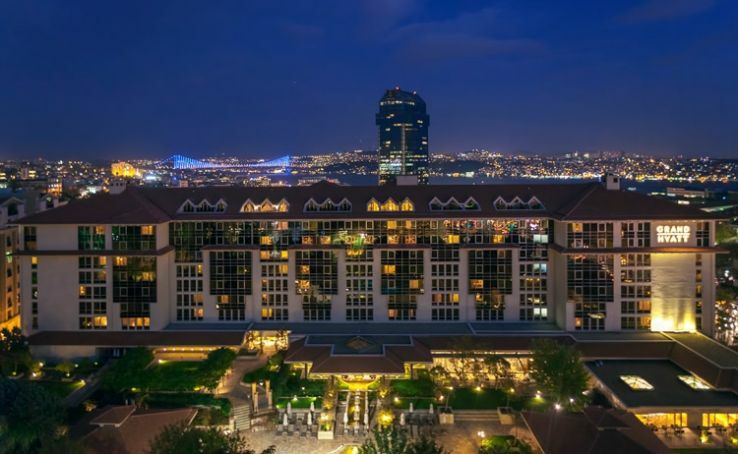 The Four Seasons Hotel Istanbul is located in Bosphorus, the city’s one of the most beautiful neighbourhood. This 145 room guest house was a former 19th century palace transformed into a luxury hotel. The classic swimming pool with underwater music is one of the most exclusive attractions of the place. You can sip on some delicious wine while strolling on the marble white tiles and watch the exotic sunset. Constructed on the theme of modern elementary art and ancient angular architecture, Raffles provides a beautiful panoramic view across the city. This 132 room and 49 suite stunning beauty is gorgeous to drop by for great dining and indulge in some wine, pastries and relax beside the pool. 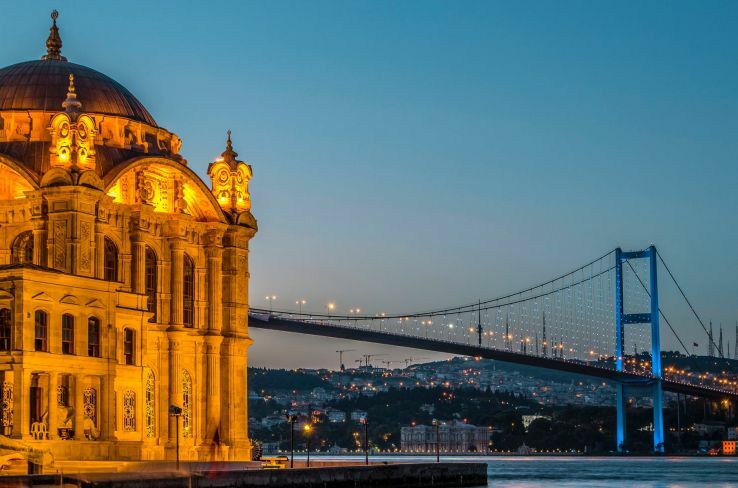 Raffles truly is one of the most dramatic and stunning luxury hotel in Istanbul. 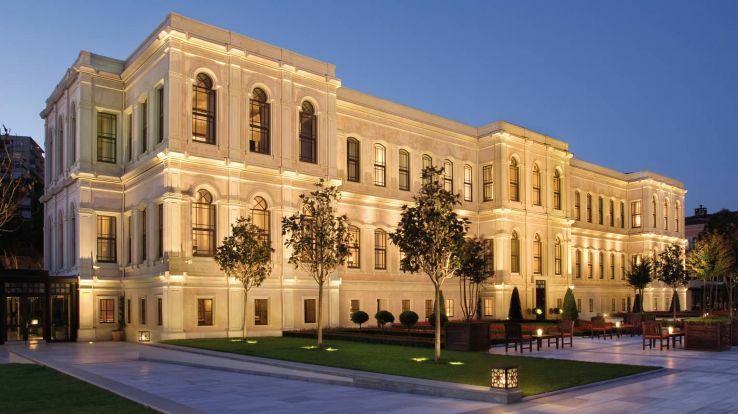 Park Hyatt Istanbul is a luxury five star hotel and is a fusion of elements from regional and historic designs. The hotel is at a walkable distance from many of the luxury fashion houses, designers and city’s top attractions. Inspired by the Turkish pattern and contemporary design Park Hyatt is admired to be one of the most beautiful properties of all time. Located in Bosphorus this gorgeous property has been the house for numerous Sultans. Ciragan Palace speaks of luxury in the whole grandiose because of its European style architecture, palace like feel, elegant tiles and opulent rooms. A signature of fine living Ciragan Palace can make you feel like Royals instantly. Latest trip ideas: » Amazing pet spas in Delhi » Best Restaurants in Nepal » Nightlife options in Ireland » 10 Best Luxury Resorts in India » Unusual things you can only do in Bali » Travelling to Hawaii just got better for medical marijuana users » 5 Luxury hotels in Ukraine » Italy’s first coral reef has been discovered » How Ghaziabad Airport will be a savior for Delhiites » HBO has hidden six thrones of GOT across the world for you to hunt down » Best sightseeing options in Myanmar » Top things to do in Scotland » AirBnB properties that will take your breath away » Not to miss places in Istanbul » 8 Best Bars & Clubs in Bali » Things to do in Ireland » The top 4 cities in America that you must explore » Pocket friendly hotels in Ireland » Budget hotels in Myanmar » Worst Traffic Cities In the world » 8 things you should know before you leave for Japan » The best tropical honeymoon destinations around the world » Weekend Getaways from Chandigarh » Weekend Getaways from Agra » Street food that makes your trip to Haridwar complete » Singapore welcomes visitors to view it's cave made of plastic cups » Luxury hotels for your perfect stay in Ireland » Places to see in Northern Ireland » How to reach from Bangkok to Pattaya » What you should eat in Rishikesh to enjoy the local flavour?